Today our lives are riddled with intense activities, whether they’re work related issues or familial responsibilities. No matter what the arena, we often find ourselves hard pressed for time and faced with situations that demand great energy or activity. Whether it is physical exertion or mentally challenging work, high levels of attention, alertness and energy are required which leave us feeling either drained or unsettled at the end of the day; thus, we often hear many of us saying that they’re stressed or tensed. But there is a very simple remedy for such situations i.e. meditation and it has been around for ages. The benefits of meditation have been harped on by numerous sources and for many years. These claims are not baseless in the least. Work or home related stress and tension lead to anxiety and a whole lot of other problems that can have severe effects on our health e.g. heart or brain trouble. Such problems if persistent would require major treatments like surgery or pain management and injury relief (PMIR), and even though these techniques are highly efficient, we can do our bit in delaying the onset of such troubles. This can be done by keeping ourselves calm and relaxed from time to time, and the easiest way of doing so is meditating regularly. Blood pressure (BP) – There can be alteration ranging from great to small in our blood pressures, due to our daily activities especially those that induce stress in us. Abnormal blood pressure leads to a range of physical ill effects ranging from hypertension to strokes, thus the need to keep it in control at all times. Meditation goes a long way in reducing Bp and this claim is backed by a study conducted by Harvard Medical School, which showed that meditation like blood pressure medications lowered the level of blood pressure in its practitioners with high BP by making their bodies less responsive to stress inducing hormones. Inflammation – This is a common ailment found amongst many of us. Inflammation can be caused by heart troubles, arthritis, respiratory problems and skin conditions like psoriasis. Regular meditation enables us to deviate our bodies’ response to stress and better handle such problems. As per Bottom Line’s Daily Health News, a study has revealed that stress induced inflammation of a body can be reduced effectively by practicing meditation, especially mindful meditation. Immunity and positive thinking – Various sources have made claims backed by legitimate scientific experiments that, meditation can not only reduce our anxiety levels and boost positive thinking, but it can also increase our immunity. For e.g. a study at Ohio State University highlights the links between meditation induced muscle relaxation and a reduction in the risk of breast cancer recurrence. Psychological well being – Apart from these tangible physical benefits, meditation also helps us keep our minds healthy. Firstly it leads to the reduction of anxiety in us and promotes positive thinking. Further it helps us cope better with challenging situations as meditation induced calmness become a part of us. Further it also helps us concentrate and perform better in our work for e.g. researchers from the University of California, Santa Barbara, found that those college students who practiced mindfulness meditation fared better on GRE’s verbal reasoning section, and also noticed enhancement in their working memory. 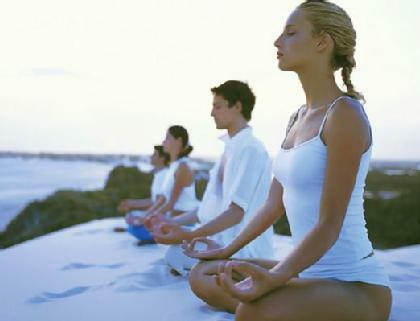 Thus the health benefits of meditation cover both our mind and body, and help us nip various ailments at the bud.